We do not exist as separate from the natural world that surrounds us. We are connected to it in a profound way. 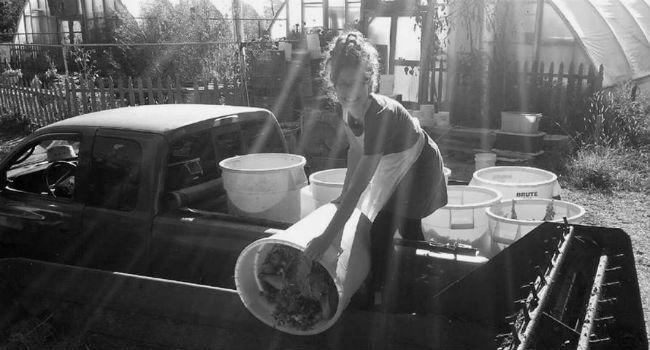 In our BA in Sustainable Living, you'll learn the skills you need to realize this connection and become a leader in the sustainability movement through hands-on classes, individualized attention, and the support of a sustainable, spiritual community. At MUM, you’ll rethink the world from a “Deep Sustainability” point of view. This philosophy, unique to our university, questions every aspect of human endeavor to create new processes and innovations that help us thrive in harmony with nature. You’ll study renewable agriculture, sustainable architecture, community development, and more, learning to live life in a way that replenishes the health of our planet, the individual, and society. You’ll be fully immersed in one course per month, diving deeply into each topic without the stress of taking on multiple subjects at once. Our low student-faculty ratio means you get individualized attention and support. This means you’ll have time for hands-on projects outside of the typical class curriculum—past students have built wind generators from scratch, launched a regional food system, created sustainability plans for our local community, and more. You’ll learn the Transcendental Meditation technique, an evidence-based practice that reduces stress, enhances brain functioning, increases creativity, and connects you to who you are. After meditating regularly, our students often report feeling happier, healthier, more connected, and better able to see their place in the big picture. 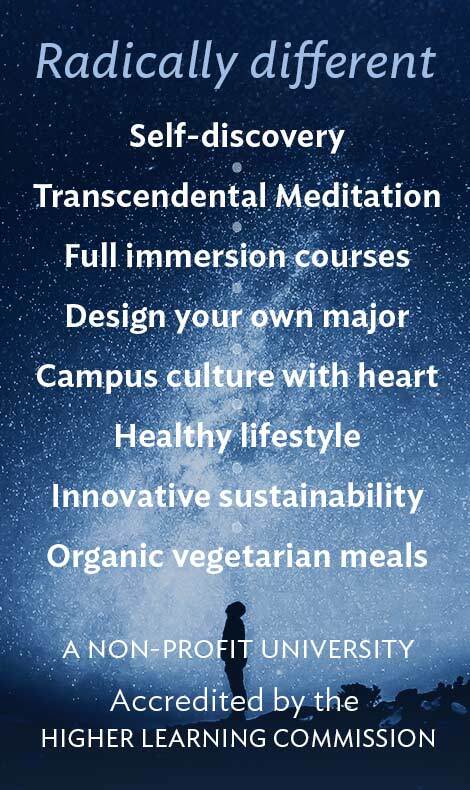 By the time you graduate, you’ll be in touch with yourself and the natural world, knowledgeable of how to best help us all towards harmony with the the planet through using your own unique talents. Each of our learning communities is structured to yield a holistic level of depth in the subject area. Students move through the sequence of courses together, providing the advantage of both intellectual and social connections. 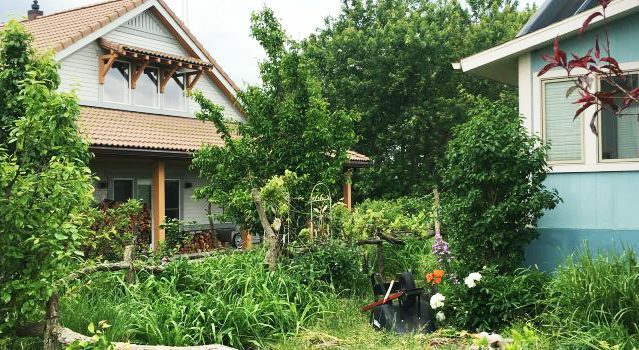 This learning community teaches a system for designing and constructing ecologically and economically sustainable communities called EcoVillages, which are designed to exist in harmony with the environment. How can we learn to live life in harmony with the laws of nature, use natural resources sustainably, and live in unity with our surrounding environment? In this learning community, you’ll gain knowledge of the geosphere, biosphere, atmosphere, and hydrosphere and learn the fundamentals of how ecosystems evolve as integrated biological and physical communities. By the end of this 4-month experience, you will be prepared to live a fully sustainable lifestyle. The EV Technology learning community emphasizes theory, laboratory skills, and a project-based experience in energy storage, power electronics, and electrical machines. This semester-long module provides students with a coherent suite of courses, that includes the dissection and rebuilding of an electric vehicle, to reveal the scientific and interdisciplinary nature of energy studies. 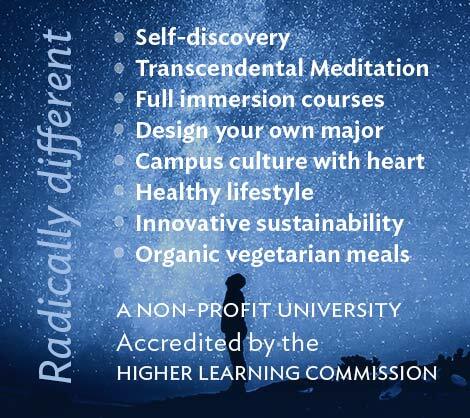 MUM is the first accredited university to offer a degree program in Regenerative Organic Agriculture. You’ll learn a variety of skills—including how to grow food sustainably, sell produce, and more—in hands-on classes with expert faculty. 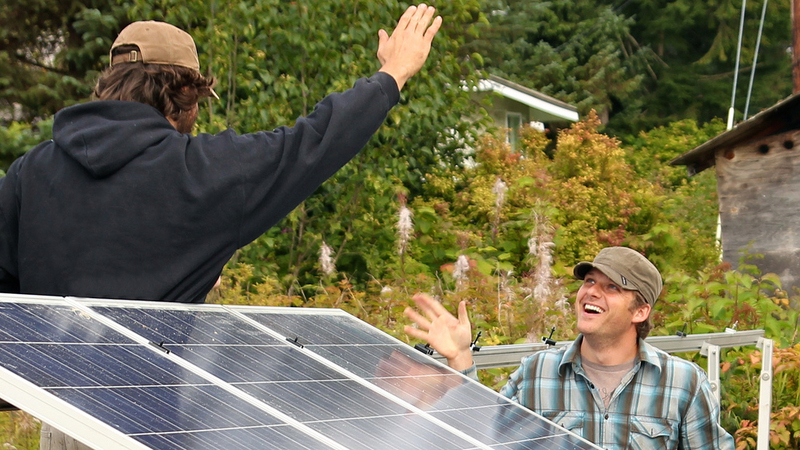 Troy Van Beek graduated with a degree in Sustainable Living in 2009 and founded Ideal Energy, a Fairfield-based solar company, with his wife, MUM alumna Amy Van Beek. Thanks to their work, Fairfield now has the highest number of solar energy installations per capita in Iowa. Troy and Amy have received national and international recognition and were invited to speak at the 2015 United Nations Framework Convention on Climate Change in Paris. Josef Biechler graduated in 2013 and traveled to Costa Rica to run 18 research farms, using his skills in permaculture design, soil ecology, microbiology, and composting to reverse climate change. His work is sponsored by the Rodale Institute and The Carbon Underground, organizations dedicated to reducing atmospheric carbon levels through sustainable agriculture. Nelina Loiselle is co-founder, Executive Vice President and Marketing Director of Above Green, Inc., a consulting firm that works with contractors, architects, and building owners/developers to complete LEED certification paperwork, paving the way for busy companies to decrease their carbon footprint and build in harmony with nature. You’ll have the opportunity to pursue local, regional, national and international internships in areas as diverse as sustainable agriculture, the building trades, environmental organizations, green business, and more. 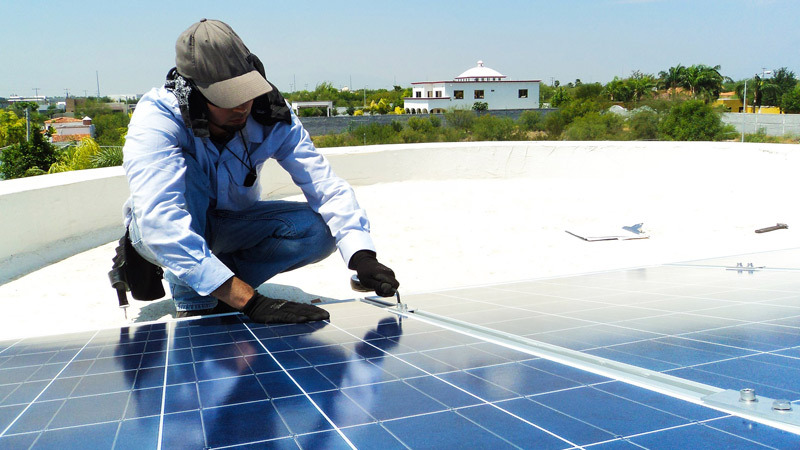 Our students receive academic credit for successful completion of professional certifications in sustainability. Past certification trainings we’ve offered include Building Biology, Permaculture Design, Resnet Energy Rater Training, and AutoCAD. 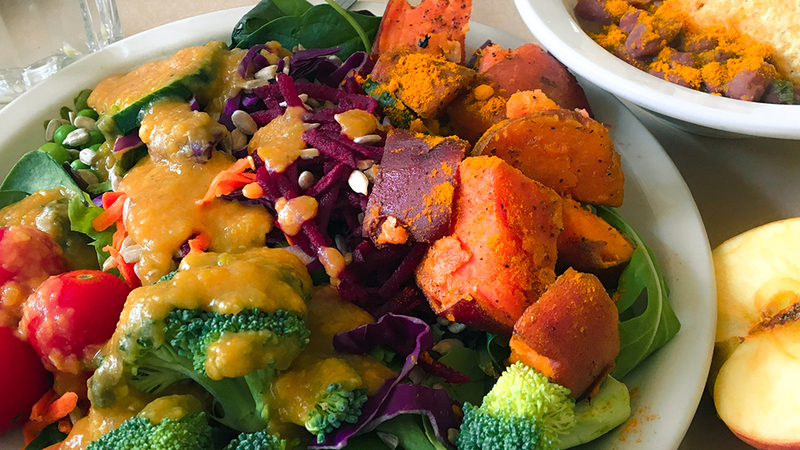 We’re the first U.S. college to offer an organic, vegetarian, freshly prepared menu—it’s one of the reasons why our students are often healthier when they graduate than when they enroll. We offer a wide variety of vegetarian fare, from home-style pizza to Chinese stir fry, from Mexican to Indian and more. We bake our own breads and pastries using organic flour and use locally grown produce whenever possible. Ralph Hearn, BSEE, MScEng, is an expert and inventor in sustainable energy systems. He has 20+ years of R & D experience in electrical rotating machinery, magnetics, and other electrical technologies. He teaches subjects related to energy and sustainability and holds two US patents. 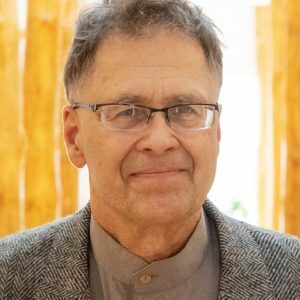 He has founded many for-profit and non-profit sustainability ventures, including Abundance Ecovillage, the Sustainable Living coalition, Big Green Summer, Abundant Planet Radio collective, and five companies in the area of renewal energy and telecommunications.